Some people drizzle. Some people douse. Some people drown. Whatever your salad style, this dressing fits the bill. It’s light, tangy, slightly creamy, compliments all kinds of salad fixings, and is unbelievably easy to make. This dressing comes just in time, seeing as how it’s officially salad season. The warmer weather is one indicator, but mine and Clark’s constant craving for all manner of greens, all of the time, is what really gave it away. Lately, we’ve taken to making massive, mixing-bowl sized salads. Heaping handfuls of mixed greens, sliced cherry tomatoes, chopped mushrooms, and pistachios – an irresistible combination, especially when topped with this dressing. This was a recipe that came about out of necessity. When you’re eating one or two salads a day, dressing starts to get expensive and you always seem to be out of it. My solution? Figure out a dressing that can be made anytime with what I have on hand, and quickly. Once you add all of the ingredients to a Mason jar [or your mixing instrument of choice], all that’s left is a little shaking and mixing. 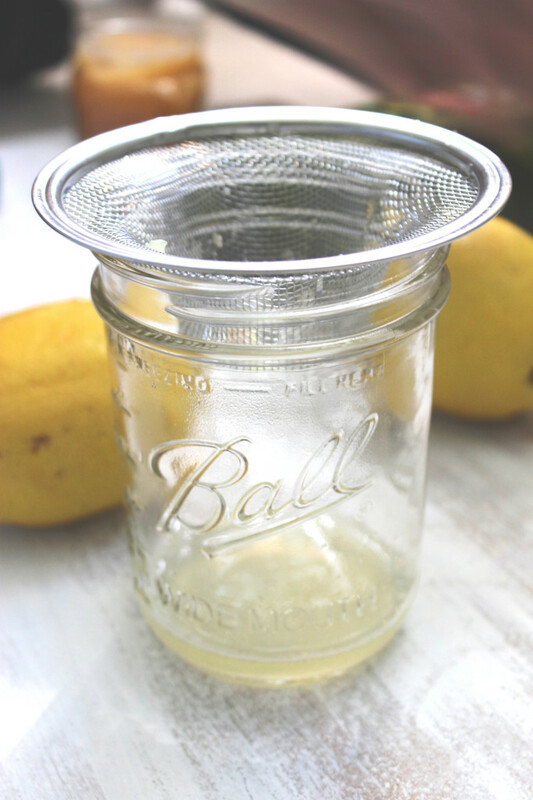 Simple as that – it comes together, is stored in, and can be poured from one jar. I wanted to keep this post short and sweet, just like the salad dressing itself. Because with these warmer days happening, I’m sure we’re all ready to get outside and enjoy the sunshine. 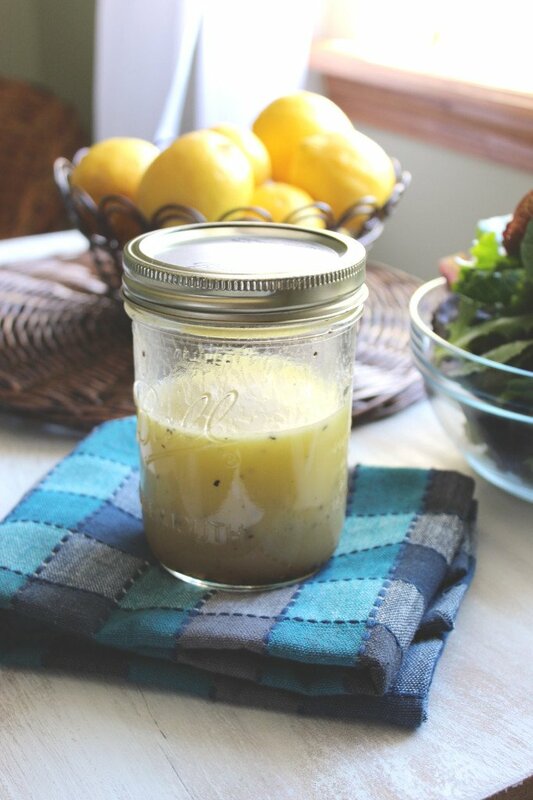 A simple salad dressing that you can make in one jar in under 5 minutes. Tasty, tart, and sweet. The perfect combination for a spring salad. 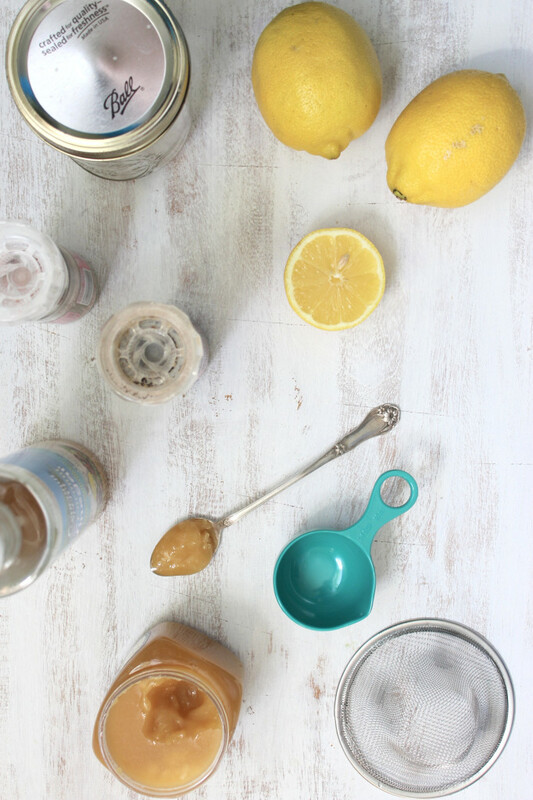 Add all ingredients to a jar or bowl. Shake or mix together until fully combined. Add to salad of choice and enjoy! Wow. Very good BUT definitely NOT low calorie. At 840 calories for the oil alone…divided by four servings. Hi Ruth! I just updated the nutritional info on this dressing. I estimate that it makes between 4 and 6 servings (depending on how heavy a salad-eater pours!) With that plugged in, it winds up between 175 and 250 calories per serving. What is coconut vinegar? This looks amazing! Thanks so much for sharing this amazing recipe! I’m trying this on my salad tomorrow!! Can’t wait! Looks pretty low calorie too! Very good! simple and I had Meyer lemons to use, so it was extra delicious. Brightened the flavor of my salad and I got a thumbs up from my family. Super simple – although I didn’t have the coconut vinegar. I bet that’s really nice with it. I’ll be on the lookout for it. I’ve pinned it and posted in my “tried” board with accolades :-). Now i’m off to look at some more of your site! is it something you have to make every time you want to have some or does it keep well/how long? You can make it fresh each time, or keep it in a glass jar for 4 or 5 days. Just shake it each time you use it and you’re good to go! Perfect!!! Thank you this will be my go to salad dressing from now on. 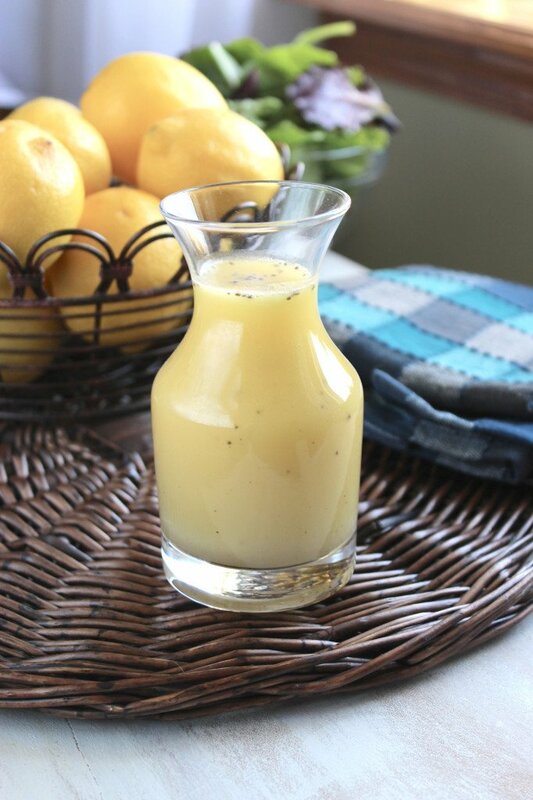 I have tried many homemade dressings and this one is the best. Thanks again! Glad you like it! This is our standby salad dressing – there is always a jar ready to use. Enjoy! I sprinkled some poppy seeds on my salad mix, topped with this dressing. It was perfect, and so simple! 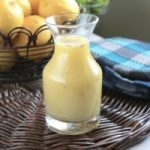 I am loving lemon salad dressing right now! It is definitely that time of year. I haven’t seen the My New Roots recipe but I will have to go check it out – garlic would be a brilliant addition to the flavors. I have a definite obsession with garlic… so that could be a dangerous path. So glad you liked the tart crust! And now I know that chickpea works as a substitution, if necessary. :) It always helps to have someone else doing recipe testing for you, too. Hehe!